Veronica Mars: Mystery and Suspense on Television. 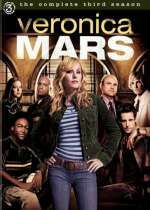 Veronica Mars aired on The CW from September 2004 through May 2007 and included 64 episodes over 3 seasons. The series, set in the wealthy coastal community of Neptune, California, starred Kristen Bell as the title character, a smart, fearless 17-year-old apprentice private investigator dedicated to solving her town's toughest mysteries.